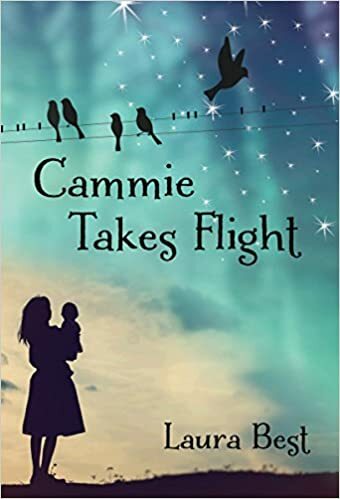 At last, after weeks of promising, I’m ready to share the cover for Cammie Takes Flight with the rest of the world. Some of you have already seen a version of the cover because, let’s face it, you’re privileged and you know it! The release date is April 30th and, for Canadians, the book is available for pre-order on Amazon.ca and Chapters.ca right now! The launch for the book will likely take place in May but things are in the very early stages of planning so there’s nothing definite at the moment. As more info on the launch etc. come up I’ll be sure to share either here or on Facebook, possibly both. The book launch is open to the public so anyone and everyone can come. Make sure to spread the word far and wide. No special invitation required. The more the merrier–that’s how we do things here in East Dalhousie. For anyone flying in from out of the country, I’ll reserve you a room at the hotel here in East Dalhousie. (Okay that’s a bit of joke since we don’t have a hotel here, but I’m sure we can make some arrangements!) I’d love to have the Prime Minister attend, but he’ll probably be too busy. Still, perhaps if I sent out a special invite and if he’s flying by that day, maybe he’ll give a little wave. It would be cool if the Queen could come too, and I’d be really impressed if Margaret Atwood put in an appearance… but….Oh well, as Cammie loves to dream so do I. Dream big; fly high-words to live by. The truth is I’ll be pleased to have my family, friends and community come out to help celebrate with me as Cammie finally takes flight. And because all books have a front and a back cover, I’ll share the back cover as well. Love the quote they used on the back. 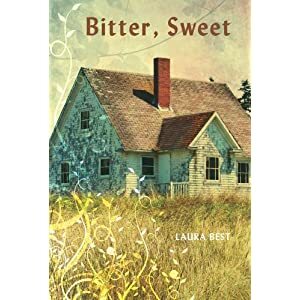 It was a bit of a surprise to me, but a pleasant one , especially when I realized I was acquainted with the author of this review written for The Children’s Writers’ Guild. Thanks Darlene Foster– I thought this was kind of cool. So finally, all the hard work of writing and revising and editing is about to pay off and my book, my baby, will be going off to the printer very soon. One day in the coming weeks I’ll receive a notice in my mailbox that a parcel has arrived with my complimentary copies. It’s been a long and exciting journey. But it doesn’t stop here. It is the hope of every author that their words will make a lasting impression on their readers. Now that would be a dream come true–for me and for Cammie! 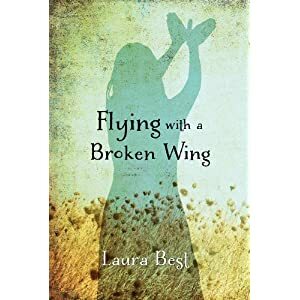 Tagged book launch, Cammie Takes Flight, cover reveal, Darlene Foster, dream, Dream big; fly high., East Dalhousie, Flying With a Broken Wing, Margaret Atwood, Prime Minister, The Children's Writers' Guild. Today it is my pleasure to welcome author Hugh R. MacDonald to my blog. I’ve invited Hugh to talk about where the inspiration for his book Trapper Boy came from. The sequel to Trapper Boy, Us and Them was released this past October. Thank you to Laura for the invitation to be a guest on her blog. While in university, I took an Atlantic history course from Don MacGillivary, and one of the readings dealt with boys in the coal mines, working as trapper boys. It was an eye-opening moment for me, reading about how boys as young as nine or ten, some even younger, spent their lives in the mines. They would spend their days in darkness, opening and closing the trap doors that controlled the ventilation to the mine,rats scurrying around their feet in search of crumbs from their food. It struck me at a deeper level than most other courses. The other history courses were ones I needed to complete my history degree, but this one was like a novel set in my back yard. Except it wasn’t fiction. Over the years I’ve written a number of songs, and I felt I needed to write something about what I’d learned from that short reading that had been assigned for the class. I wrote a song entitled Trapper Boy, and I played it at some of the gigs I was playing at the time. A few of the Men of the Deeps heard it and suggested I submit it to Jack O’Donnell, the Musical Director of the Men. It was given to one of the members of the group, who said he would get it to Jack. Much time passed and I never gave it any more thought. Although the song told the story quite well of how I saw the life of the young miner, highlighting the loneliness and solitude of the trapper boy job, the fear of the rats and the absolute darkness, it wasn’t enough, so I decided to try a few chapters of a story, and then got it to Mike Hunter, Editor-in-Chief at CBU Press. To my surprise and relief, he said he was interested in seeing more, and over a few years the story came to be, and more importantly, Mike agreed to publish it. It was then that I got to put my history degree to work and did some research. I read and reread articles about coal mining and miners. I wanted to get a more visceral feeling for the job of a miner, so I decided to speak to some of the retired miners, whose fathers and grandfathers had been trapper boys. The best place for me to go was to the Cape Breton Miners Museum located in Glace Bay. There are many artifacts located there, from the early days of mining, and they have several former miners, willing to share their stories. The miners act as tour guides, bringing small groups of women, men and children underground in a mine that was built to give the general public a little taste of what it was like to be in the bowels of the earth. I went on the underground tour several times and used what I felt and heard to help write the story. 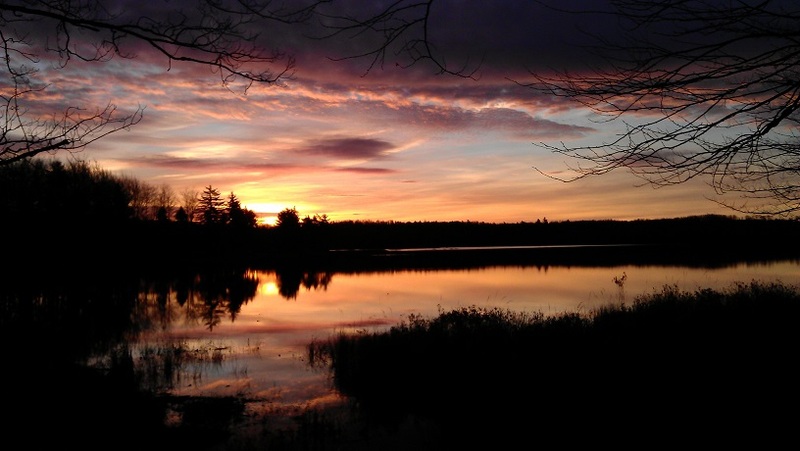 In October 2012, “Trapper Boy,” the novel, telling the story of thirteen year old JW Donaldson, which included incredible sketches by my brother, Michael G. MacDonald, came to life, and it has been a dream come true to see it being enjoyed by many who’ve read it, providing wonderful comments. The book was included in the Best Books for Kids and Teens, 2013 Spring Edition. And I got invited to read at Word on the Street in Halifax in September 2013, which is where I got to meet the very talented Laura Best, and even got to share the stage with her. Also, a teacher resource for “Trapper Boy” was developed(as a free download for teachers) by CBU Professor Dr. Patrick Howard, and his B.Ed.students, and ”Trapper Boy” has been used in some classrooms in Cape Breton. I’ve been fortunate to have been asked to go into some of the classrooms to do presentations to the students. In April of this year, the Men of the Deeps recorded my song, Trapper Boy, and included it on their 50th Anniversary CD. But just as the song was not enough to tell the full story, neither was “Trapper Boy” enough to tell the full story of JW Donaldson. A number of people who’d read the book asked me what happened next, so I decided to sit down and figure out what was going on in JW’s life and that of his friends.On October 20th of this year the sequel to “Trapper Boy,” “Us and Them” was launched. I believe the story of JW and his friends comes to a nice conclusion, but . . . I have written a chapter or two of what might happen in the future, just in case there is an interest, so book three or four could happen. Thanks for reading. Take care. Hugh R. MacDonald is an author and singer/songwriter. His YA novel, “Trapper Boy” was included in The Canadian Children’s Book Centre’s Best Books for Kids and Teens. The sequel, “Us and Them” was released in October 2016. Hugh is a graduate of Cape Breton University, and works in the human service field. His song, Trapper Boy, which he wrote prior to the novel, was included on the world famous Men of the Deeps Coal Miners’ Chorus’ 50th Anniversary Compilation CD. Hugh is a member of the Writers Union of Canada and the Writers Federation of Nova Scotia. He lives in Cape Breton, NS with his wife, Joanne. To hear the song that inspired the book follow the link here. You know how they say that good things come in threes, well it was certainly true for me last week. Three new books in as many days, three totally delightful books that I just have to tell you about. Am I lucky or what? 1.The first book came via Joss Burnel, a poet/blogger I met through WordPress a few years back when she showed up at a craft fair in the Annapolis Valley to meet me with a copy of her book of poetry, If God Was a Woman. I’m truly looking forward to reading this as I’m sure Joss (the Crowing Crone) has many insights to share. She has such a warm, friendly spirit I believe we could have talked all afternoon and not run out of words to say. What a thrill to meet a blogging buddy. I might be a little partial, as well, since Joss gave my book, Flying With a Broken Wing, a ringing endorsement in her review a few years back. You can check it out HERE if you missed it. When I said she was a warm friendly spirit I certainly meant it! 2.From the Heart is an anthology that I’m a part of. It is the third anthology in the Inspiring Hope series. As with the other two books, Inspiring Hope: One story at a Time, and Fly Like an Eagle, the proceeds from this book will also go to charity. Profits from this latest book compiled by Gary Doi will go to the Cmolik Foundation. The foundation “supports post-secondary scholarships for high school graduates who are financially challenged and have demonstrated character, good work ethic and persistence in achieving their goals.” How about that! The books are available for order through Amazon just follow the link here. I like knowing the profits will go to charity! 3. And last but not least, I was totally excited when an unexpected package from Diane Tibert came in the mail. The book is titled Throw Away Kitten and was penned by Candy McMudd. a.ka. Diane Tibert. As I told Diane over email, this book is my new favourite and not only because I’m mentioned on page 42 (yes, I’m totally serious. She mentioned me in the book. Cool or what!)) It’s a story for kids 6-11 and I can hardly wait to share this with Miss Charlotte. But I’ll keep the surprise of her nanny’s name being mentioned in the book until she finds it herself. I wonder what her reaction will be. You can order Diane’s book here. I hope you’ll check out some or all of these books. I tend to think they’re all pretty special, after all, they have the power of three behind them!